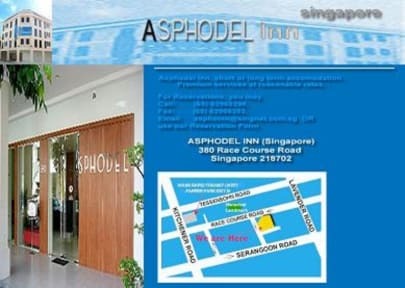 Asphodel Inn i Singapore, Singapore: Bestill nå! Situated in one of our local tourist locations of Little India, Asphodel Inn is the ideal place to stay for premium services at reasonable rates. Providing short or long term accommodation, all rooms are equipped with private amenities, like air-conditioning, shower, IDD telephone, to welcome guests after a long journey. 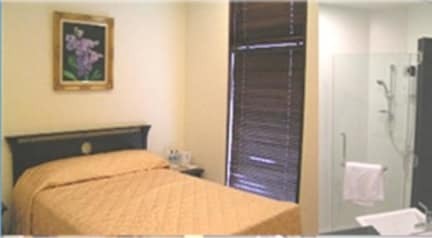 Choose from 55 standard or superior pleasantly decorated rooms. On level 2, Cosy Corner, with its cool design, will lighten most weary guests after hours of traveling. Complimenting our tastefully decorated rooms, the Cosy Corner is created to make guests 'feel at home', whether they would like to relax or plan the next day's sightseeing route. Facilities include a travel desk, laundry, free parking, and fax / email services. You can also avail of the limousine rental, coffee/tea making facilities, and even a complimentary mineral water. There is a doctor on call as well as 24 hour security surveillance.